or an AVR32 ... ? Gotta say I love the Xmegas, and I'm 90% hobbyist. I looked at a couple of the new XTinies for a project and decided to just use an XmegaE5. When I started to use the Xmega and I wanted to understand the inside of it I used ASM, up close and personal, the timers were a big pain, not to mention the ADC. Atmel support tried to "help" with ASF like code that buried everything even deeper, well sort of worked but I didn't know why. So I have around 2,000 boards in the field now and, you guessed it, coded in ASM, about 8K of code. A lot of the stuff I had already for the AVR and it remained untouched ie it was "portable"
Apart form the way the peripherals are accessed and set up it's like using and AVR compared to say using an ARM. +++++ Xmegas a lot more popular than ARM here. they don't do DIP, but the TQFP packages are easy enough to hand solder. Is that what you mean by unfriendly? 5V is no longer for 8bit devices only, there are Kinetis E devices now and SAM C20/C21. The Cypress PSoC ARMs are also 5V capable. [XMega has] Intelligently laid-out registers, giving the ability to define peripherals as structs whose addresses could be passed as pointers to functions, and header files that provided meaningful names to bitfields (e.g. "ADC_CH_GAIN_16X_gc, DMA_CH_TRIGSRC_USARTC0_RXC_gc"). I will ALWAYS be a hobbyist as long as I am experimenting with new things that I do not get paid for. So it hasn't even reached parity with the old ASF yet. And the ASF is not great either. 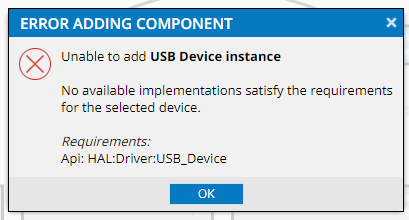 For example, you can't have DFU runtime with any other type of USB. And the whole stack is bloated as hell so forget fitting it into a 4k bootloader. Oh, BTW Start is a "nice framework"
Can you create a project to just toggle one GPIO line - how many lines of C, how many opcodes? If you now dig out the datasheet and write a "bare metal" version in C then how many lines of C is that and how many opcodes? A lot of these libraries suffer from trying to be all things to all people. If they concentrated on "normal use cases" and what 95% of the users actually want/do they could probably be much more like the code us engineers might right. I can't help thinking of Peter Fleury libraries and what makes them so popular - they target exactly what it is the majority want to do. I know this if a bit of an extreme example but take a USART. Who in their right mind ever used the "S" bit? Yet the vendor library probably caters for it and possibly complicates the bit we all use in the process. I agree completely. One of my recent example is a STM32 nucleo board that I want to use as a programming dongle for another architecture. I started with a simple led toggle at the default clock option. Then, the first important thing was to rise the clock to its max, 80MHz. This was exactly 10 lines of C code (without comments) at the register level (CMSIS). Switching clock sources, setting PLL, enable PLL, set the flash wait states, that stuff. Their library file only for the clock stuff is thousend of lines, lots of functions, with names that take half the line by themselves only. Still, there are people that only complain about the lack of documentation for such a library. They don't realize that this won't happen, ever. What a vendor should do, is to provide good examples, for the usual use cases. At the register level and properly commented in the same style as the user manual. Having this, programmers can understand how and what to do to get their job done. With no bloat and no fat. And encouraged to read the datasheet and the user manual. I can ask you (in general) the question: would you use a microcontroller with no user manual, no register level, only libraries documented by doxygen? On the whole, I do agree with your comments. The GW-Basic (PC), and Basic Stamp, (micro), both had instruction books. Each instruction had a description of what it did, and a short example. I still use the XMega, and in fact am using it in 3 current projects right now. One project is going into a prop hub extender on a single engine aircraft (for actual flight), and the other is inside a user console of a custom made CNC machine. The third project is a fun one, overclocking the XMega-384 to 68MHz to give a 6502 processor a new VGA output. I think the XMega is the best damn 8-bit uC ever made. You can overclock all of them up to 64MHz safely, and often reach 72MHz. At 68Hz, I am getting 34MHz IO bandwidth, which blows all PICs (32bit included), and most ARMs totally away. The only thing on my bench that beats XMega IO speed is an FPGA. I hope the XMega stays around for a while! I like the XMEGA on paper, but I am starting to wonder a little based on some past threads on the thing, and the miserable experience I am having by trusting a certain utility I elected to use to configure the device. Seems that Start is giving you more of a Stop; it's a futility - not a utility ... ? The other great thing about the XMEGA architecture is how clean it makes your code. Peripherals are neatly self-contained and duplicated, and seem to be designed in such a way that you can write self-contained modules which don't conflict with each other. On 8 bit PICs you have stupid things like shared interrupt vectors. The 16 bit range is a bit better in that respect, but the peripherals are still a bit of a mess in terms of what registers they use and your ability to write clean code for them. A really interesting example of how Microchip just doesn't "get it" is their PIC24 USB stack. Maybe it's better now, but I have to maintain a product that uses it via polling in the main loop. Because of this the USB interface is extremely unreliable. Timing is all over the place because critical bits of it don't run in interrupts. And when you look at Microchip's example code it's clear they have no idea about careful separation and isolation of interrupt and normal code. I have three projects with xmega, quite complex projects. When I started with xmega, the first thing was to carefully read the user manual. At least what I was interested in, GPIO, clocks, UARTS, ADC. At that time I even don't think START existed. I had no problem at all to get it working. Your experience can confirm one of my feeling: the START like things (ST CubeMX, Microchip I don't know the name, etc.) probably put customers off. Atmel START is really bad in fact it seems. CubeMX and the Silabs equivalent are a lot better. CubeMX generates quite correct code, but based on their libraries. That really leaves you in the dark after the initialization code. At least the Silabs 8051 code generator generates code based on direct register access... It is the most honest code generator probably. It generates some writes to some registers and only that. Not claiming it's anything else. When you look at the generated code, you think: yes, what a simple code. I would have done that myself easily if I would have read the user manual. I think the code libraries are mostly there to convince managers to use those parts. They believe all the stuff about being able to quickly get projects working, think they can get some budget contractor cowboy in to knock something up in three months because the manufacturer already did most of the work. But that is exactly what Start does! More evidence that those that complain the most about Start understand the least about Start! I am not defending Start outright though, it has many interface bugs, and as noticed chooses pins poorly. But let's get down to it, any programmer worth a grain of salt should be able to look at the generated code and spot what is off right away. The most important lesson here is that you must read the datasheet, Start is not a substitute for it. On the upside, they have been cleaning out more of the unnecessary cruft and reported flaws are being addressed. Get used to Start as being a work in progress, it isn't going away any time soon. If you don't like it, write your own bare metal code. rammon, I do agree with your comments about the XMEGA being easy and well designed. Brad, always nice to see you check in. If you say the XMEGAs are awesome, then they must be! Here is a 40MHz signal out from a pin of an PIC32MX running at 80MHZ (not overclocked). And by the way, do you overclock your XMega for the propeller project ? I too thing that the XMega is the best 8 bitter on the market right now, but it cannot stand a 32 bit processor in general. When I started to mess with microcontrollers, I weighted PIC vs Megas. I chose Atmel just because it was faster and I was able to build my own programmer based on the PonyProg software. At that time I could not afford an Atmel programmer. And since then I think I made the right decision. Later I kinda switched to XMega, and what I mean by saying that is that I would not go back to Mega again since XMega is here, unless it is about a very small project. Recently I started working with PIC32 and I amazed about it. Again, now I have the feeling that I would not go back to 8bit unless it is about a quick prototype or something very small project where a tiny would fit the bill. I do think that Microchip made a very good decision to go with MIPS instead ARM. Sorry for the OT, but I notice you have a Kingst logic analyser. Are they ok? Would you recommend their products? How can you do 40MHz at 40% duty cycle from 80MHz clock? Just curious. - for me it is a pleasant surprise it does register level access. - I didn't use START, I concluded it is buggy from the posts here on avrfreaks. But I do use CubeMX and silabs studio, and I put the START in the same category. I won't say I don't (or can't) understand START. Microchip should understand that such a tool sould be as rock solid as possible. They should make it like that asap. Because otherwise it can be a show stopper instead of a good helper. See Jim experience. - pin functions assignment. When you have chips with lot of pins and/or lot of alternate functions per pin, a nice graphical screen with the chip and the possibility to play with all the functions of the pins, and to see that graphically, is a pleasure. And very helpfull. A user manual cannot provide that. - clock tree assignment (I now this from cubemx, but any complex chip with lot of clocks should have that). Complex chips tend to have complex clock tree. Seeing it on a single page and being able to play with it, change the clocks here and see all the implications here and there, it's very convenient. But once you played with these graphicall interfaces and fixed the things in stone, the initialization code is simpler to write at the register level, now based on the user manual (you may understand the user manual even better after playing a while with the graphical interfaces!). Speaking about code generation: I found it a bit frustrating because, after you have it generated for the initializations, you are left alone. I feel a bit dissapointed because I cannot generate more of my application functionality from the GUI (even I knew from the start that this is the case). And the net result is that you still have to read the user manual and to write your code, yourself. Regarding the 40Mhz frequency from the PIC32. The Logic Analyser samples @ 200M/s i.e.5ns. Does a PIC32 really handle GPIO in one cycle? Or was this a timer output? The XMEGA does do CBI, SBI in one cycle. And it works reliably when overclocked. All AVRs can do IN, OUT in one cycle. I think it is an excellent strategy for Manufacturers to provide some form of Code generator. Just to get someone started with their evaluation boards. It is wise to make the same demos work on every board. I do find it fairly convoluted. I became quite familiar with the old Atmel app notes. Simple to follow but not always easy to port to different Atmel devices. Any form of demo software must work 100%. If it does not, the Manufacturer's reputation suffers. Is the PIC output just a PWM channel? Or a long series of GPIO toggle op-codes? Does a PIC32 really handle GPIO in one cycle? Or was this a timer output? The XMEGA does do CBI, SBI in one cycle. And it works reliably when overclocked. All AVRs can do IN, OUT in one cycle. Even if it does, you can generate this output only inlining the instructions one after the other, for ... how many? With any micro you need to make best use of the hardware peripherals. e.g. USART_MSPI, DMA if possible. I was just pointing out that the Xmega does this extremely well. Some instructions are faster e.g. SBI. All GPIO can work efficiently with VPORTs. Yes, a small amount of inlining can make a dramatic difference to an "inner loop". Especially when the active body has few cycles relative to the loop control. I can control TFT displays better with Xmega GPIO than Cortex-M0. However computation is more powerful with a 32-bit ARM. It is unfortunate that the Xmega never appeared as an Arduino. It could have gained hobbyist support. And within an instant, cheap clone boards. According to the datasheet,the ports have set, clear and toggle registers called CLR(clear), SET (set) and INV (invert), that's how a 1 cycle toggle is achieved. One instruction cycle is required between a port direction change or port write operation and a read operation of the same port. Typically this instruction would be an NOP. Well, but you don't need to do a read, right? Just writes. That's just the input synchroniser, same as AVR. A long series of GPIO toggle op-codes. I think AtomicZombie implies the same thing when getting 34MHz output signal from an Xmega at 68MHz. I like the event and DMA systems on the XMEGA. One trick I often do is to use a timer to detect the end of a transmission. An event resets the timer whenever the RX pin changes, and the timer is set to do a compare match after say 1.5 characters of no change. I was reading a serial bus (Dreamcast game console) where it used two wires that alternate between data and clock. First A is clock and B is data, then after one clock the swap so A is data and B is clock. Bit rate is 2MHz so at 32MHz you only have 16 cycles per bit, but it's actually a lot worse than that because the duty cycle isn't 50%. In fact it varies from device to device. But on XMEGA it's easy. Use an event triggered on a falling edge to trigger a DMA read of the port. Have two of these set up, one for line A and one for line B. Use the timer trick to detect end of transmission, rather than trying to decode and calculated the expected number of words in realtime. Then you just sit there until the timer interrupt triggers and decode the captures port readings at your leisure. It's this kind of thing that makes XMEGA awesome. Other MCUs have events, they have DMA, they have timers obviously... But the flexibility and ease of use you get from XMEGA is rare. Absolutely. Larryvc is defending it, and he is right in many respects, but in this age of manufacturers pushing their code generation tools as being superior to others I took START for a spin as I am a noob of sorts to the XMEGA...and the START experience is a STOPPER. Just my opinion. But let's get down to it, any programmer worth a grain of salt should be able to look at the generated code and spot what is off right away. The most important lesson here is that you must read the datasheet, Start is not a substitute for it. No argument from me on this. My reasoning for using START was because of how complex the clock scheme is from what I had been reading in the XMEGA forum so my intent was to see what the utility does and dissect it. Then I remembered my Codevision License does XMEGAS and took it for a spin. As I posted in my other thread it kicked a&& on my initial test, but failed with the same issue when I add SPI to the project. Working on that now to see what happened, and will report accordingly. Microchip should understand that such a tool sould be as rock solid as possible. They should make it like that asap. Because otherwise it can be a show stopper instead of a good helper. See Jim experience. I will use such a tool myself for the following functionality: - pin functions assignment. When you have chips with lot of pins and/or lot of alternate functions per pin, a nice graphical screen with the chip and the possibility to play with all the functions of the pins, and to see that graphically, is a pleasure. And very helpfull. A user manual cannot provide that. - clock tree assignment (I now this from cubemx, but any complex chip with lot of clocks should have that). Complex chips tend to have complex clock tree. Seeing it on a single page and being able to play with it, change the clocks here and see all the implications here and there, it's very convenient. But once you played with these graphicall interfaces and fixed the things in stone, the initialization code is simpler to write at the register level, now based on the user manual (you may understand the user manual even better after playing a while with the graphical interfaces!). Cannot agree more with this. I stand by my opinion that I like the XMEGA...on paper. I will probably like it even more once I get past the speedbumps I am hitting. But my mood is telling me to send START back to the shop for a rebuild, and concentrate on using Codevision for things...Stay tuned for the outcome. AS I also mentioned somewhere popularity is based on the user experience in this day and age. My experience with START has not been pleasant. I wonder what would happen if I try the configuration through ASF within Studio and see what happens. As many know I am not a fan of ASF either, but I have used it here and there. +1. The XMEGA Event System is rather awesome, allowing peripherals to be interconnected in hardware, and to require CPU intervention only when a new measurement/result/state/etc. has been achieved. The XMEGA peripherals have both a newer/smarter design and an intelligent register layout that is unseen (at least by my aging eyes...) in other 8-bit MCUs. Inside joke of sorts....but yes, exactly. +1 and +1 for the aging eyes, seems to be going around. The new ATtinys (XTINY) have the same Event System and Peripheral structure as the XMEGAs. I've been amazed at what I have been able to accomplish with the XTINYs. Should have given the XMEGAs more of a look a long time ago. I've been amazed at what I have been able to accomplish with the XTINYs. I have a couple TINY817 Xplained Minis that I played around with a few months ago. The "XTiny" moniker is appropriate. I wouldn't mind seeing some example projects that do neat things with the Event System. I must admit the neatest thing I've done is measure the echo pulse width of an HC-SR04, which is probably too simple to be termed "neat." After configuration, the Timer's CCA interrupt fires when a new measurement is ready. Indeed! I've decided that "Professionals" are frequently indistinguishable from "Hobbyists" when it comes to that initial "evaluation" of new architectures and chips. This. As a freelancer, my clients don't really care what chip I use, as long as it does what they want it to do. If some outfit comes out with a new wunderprocessor but charges 10,000 Omani Dinar for the programmer and IDE, I'm not even going to experiment with it. Because I won't experiment with it, it's not going in any of my new gizmo designs. And the manufacturer won't sell any to me or to my clients who mass-produce the gizmos. 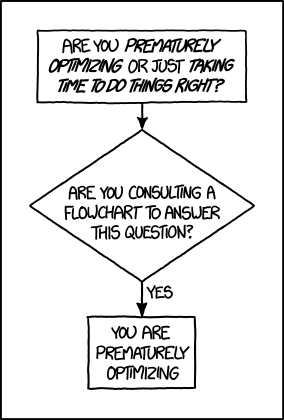 The same thing applies to those who pass out 'free trials' (Hi, Xilinx) and then ask for thousands of dollars a year to maintain a license so you can maintain a one-off product. No. If you want to sell chips, make it as easy as possible for people to use them. Pay no attention to the beancounters who say, "Hey, we wrote all this software, we should monetize this!" NO. Tell those beancounters they're penny-wise and pound-foolish, because the more they charge to develop with those chips the fewer chips you are going to sell. And isn't your business selling chips? I should have been more specific when I seemed to bash the PIC32! What I was doing was a tight, cycle counted loop in assembly to read from internal SRAM, and then send a full byte to a port. I spent a few weeks learning MIPs for the PIC32-MZ series, and finally realized that the XMega stomps all over it when it comes to getting data from internal SRAM out to a port in a fast and predictable manner. Clocked at 68MHz, I can achieve a 256 color fully bit-mapped VGA resolution of 580x480 purely by bit banging alone. I do a lot of this kind of thing for fun, just to see what processors are made of. XMega is the clear winner by far. To the other question... no, my propeller torque sensor and data logger project is clocked at the "legal" 32 MHz. Someone is going to be in the air with this thing (not me! ), so everything is being done to ensure safety. The other production board I used an XMega on is also clocked using the internal 32MHz clock. I chose XMega for both projects as it was cheaper than an FPGA for similar performance. Also, just for fun, I have had an XMega256 overclocked to 64MHz, and over-volted to 5v running for almost 4 years non stop. This project has been displaying NTSC video, using the entire 256K program memory and all of SRAM since 2013. I plugged it in and let it sit in a corner of my lab so I could do a "rebuttal" to all those claiming that overclocking could harm a uC. The over-volting from 3.3v to 5v was just icing on the cake! I intend to post my results in another year or so. Again, just for the hell of it. I hope one day an even faster XMega with more SRAM comes out. Rated for 80MHz, with 512K of SRAM. Give me that, and I will stop using FPGAs altogether. Ditch the old PIC8 family and make me a new XMega! - XCL is configured in DFF mode, where the receive pin's event selects via MUX whether the D flip-flop is looped back or latched to the OC0 value. ... without a timer ISR. In this application the event system removes 64 relatively short RTC interrupt routine calls per program cycle, and give us approximately 1% lower power consumption by using the event system. Conversely, a 16-bit data path with variable-width (up to 16b) single-cycle I/O ports. Another trick I did using the event/timer system I outlined was to handle the NMEA output from a GPS module. Used DMA to capture characters into a buffer with no interrupt overhead, and the event/timer to detect the end of the sentence block. I also used an event triggered by the 1 PPS pulse to restart a timer for super accurate timing. Oh, I did an RTC calibration routine using the XMEGA timers with a 10MHz TCXO reference clock and the event system triggered by the RTC overflow causing a timer capture. If the capture is under 10M you know that the RTC is running fast, if it's over you know that the RTC is running slow, and you can calculate exactly how much you need to compensate by. Libraries often do too much and have unwanted side effects. The classic example is the ASF code for the XMEGA, which disables all the peripheral clocks as part of the clock management init code. You include it because you want to set a 32MHz core clock, but then find that it disabled all your peripherals for some unknown reason. Why isn't that part of the power management module? Because it has the word "clock" in it? And what part of "init" implies "disable everything"? The AVRxxxx app notes and example code are much better. You can use them as libraries or as references. They are short enough and transparent enough to understand, unlike the ASF that has 50 layers of abstraction or code generators that produce thousands of lines of mostly unused crap with little organization for you to sift through. The Chinese AVR cloners at Logic Green Technologies devised a clever trick; certain memory areas trigger 16 bit access. So, for example, if you store r16 to these addresses, actually r16 and r17 are written to consecutive byte addresses. That is, "st Z, r16" causes a 16 bit write. They used this only to a very limited extent, though. So, for example, if you store r16 to these addresses, actually r16 and r17 are written to consecutive byte addresses. I expect that will only have value to the likes of Brad if both bytes are written in the same clock cycle i.e. a true 16-bit write, not two consecutive 8-bit writes. Product Change Notification - GBNG-05QUVX037 - 09 Aug 2018 - CCB 3496 Initial Notice: Qualification of MMT as an additional assembly site for selected Atmel products of the 35.4K, 35.5K and 35.9K wafer technologies available in 100L TQFP (14x14x1.0mm) package. I'm a great fan of the ATXMEGA range and wait for the day when USB OTG is provided. Sad to say, but if Microchip loose interest in the ATXMEGA range, then when the IP period has run out, I hope the Chinese do start selling compatible chips. ... and wait for the day when USB OTG is provided. USB OTG isn't a part of XMEGA AVR for a reason. That will not occur as long as XMEGA is a commodity. That's apparent for several XMEGA due to increased assembly production capability. Will the ones at Microchip seek to better compete against MSP430TM and its ecosystem by a follow-on to XMEGA and PIC24? ... then when the IP period has run out, I hope the Chinese do start selling compatible chips. currently that's by Logic Green for a relative few AVR. Why would the Chinese want to sell XMEGA clones ?